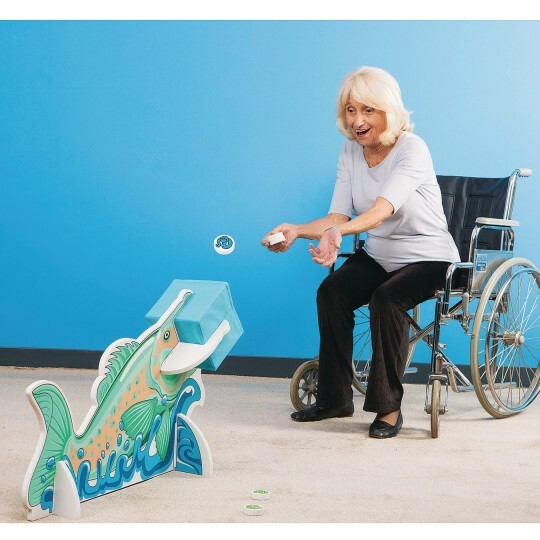 Be prepared to hear some big fish stories with this fun toss game that’s just right for reeling them and getting them moving! 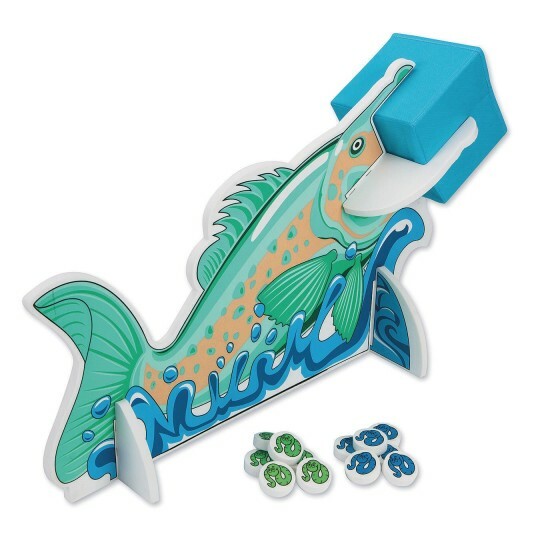 Thick and sturdy foam fish target fits together in a snap and features colorful graphics that depict a prize-sized fish jumping out of the water and looking for bait! Play one on one or with partners and see who can land “the big one” by hitting the target with the most bait. Purchase two targets for double the fun! Comes complete with fish target, instructions, and 12 bait tossing discs. Or can be used with existing beanbags, table tennis balls, fleece balls, and more (sold separately). Simple assembly required. 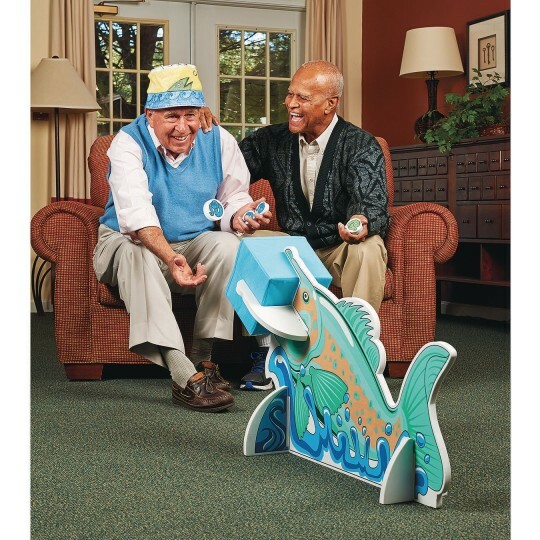 I used the product with the geriatric population I work with and it was a big hit because many of them used to enjoy fishing before they started having cognitive/memory issues. I only wish that the actual fish and basket were a little bigger.